FormBoss in Bayswater, Melbourne Region specialises in metal garden edging. 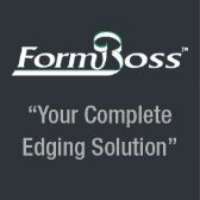 FormBoss' vision is to change the way you think about garden edging. We are constantly focused on innovating and believe in the simple design we have honed over the years, allowing for a painless installation without sacrificing quality. FormBoss is guaranteed to stand the test of time, regardless of the steel finish. To find a supplier near you, check FormBoss' website.